When Ku Nan said that Penang should be made into Federal Territory, Johor-born Penang Chief Minister from Melaka who has been charged in court for corruption, Lim Guan Eng, went on a campaign asking Penangites to love Penang. 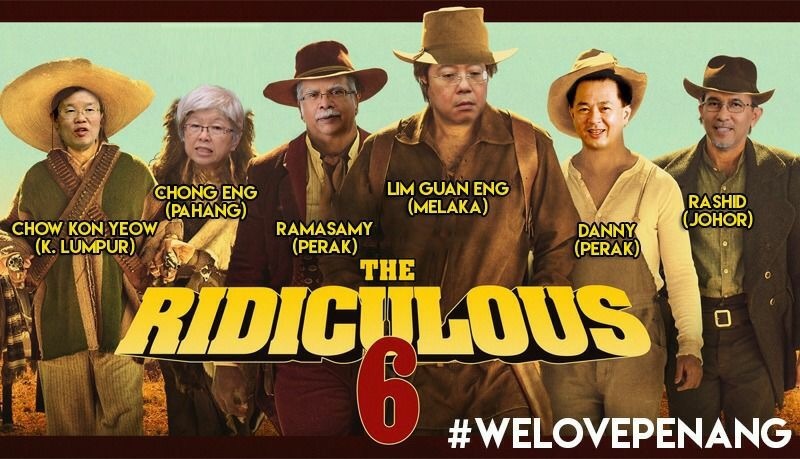 The campaign has been ridiculed and scorned by original Penangites. I made it a point to pen down the fact that Guan Eng was born in Johor Bahru in 1960 and went to the Batu Pahat High School and Melaka High School. Although he was the Kota Melaka MP for three terms with consecutively reduced majority the Melaka DAP discarded him and his wife Betty like trash. He came out last in the 2005 Melaka DAP Committee elections. Even his wife Betty beat him to take the second-last spot. Therefore, while Betty being DAP Supremo Lim Kit Siang’s daughter-in-law was spared being in the last position, Kit Siang’s own son was trash in the eyes of Melaka DAP. Sensing that he could get trashed in the 2008 general elections if he continued to contest in Kota Melaka, he ran to Penang to contest at the Bagan parliamentary and Air Puteh state seats. 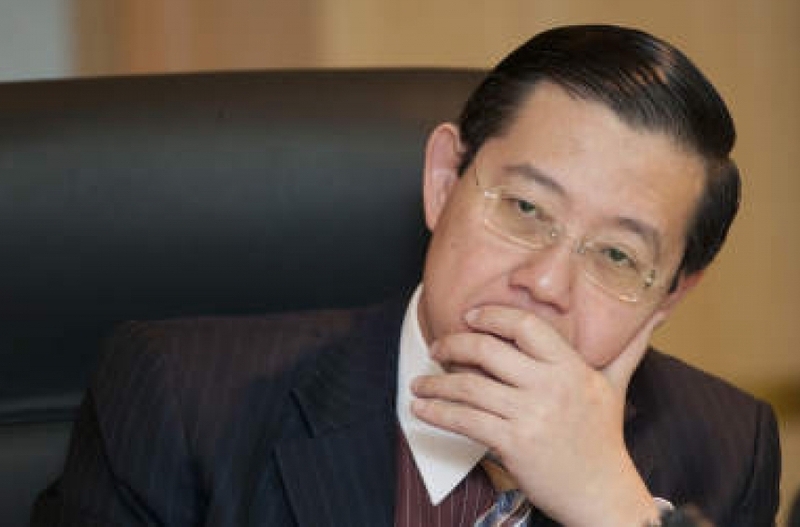 When the Barisan Alternatif won Penang that year, being his father’s son, Guan Eng appointed himself as the Chief Minister to replace Gerakan’s Koh Tsu Koon, bypassing local DAP figures such as Lim Hock Seng and police-wannabe Phee Boon Poh. To show that he is fair to other races, he appointed Perak-born P Ramasamy also from DAP and Datuk Dr Mansor Othman from PKR. 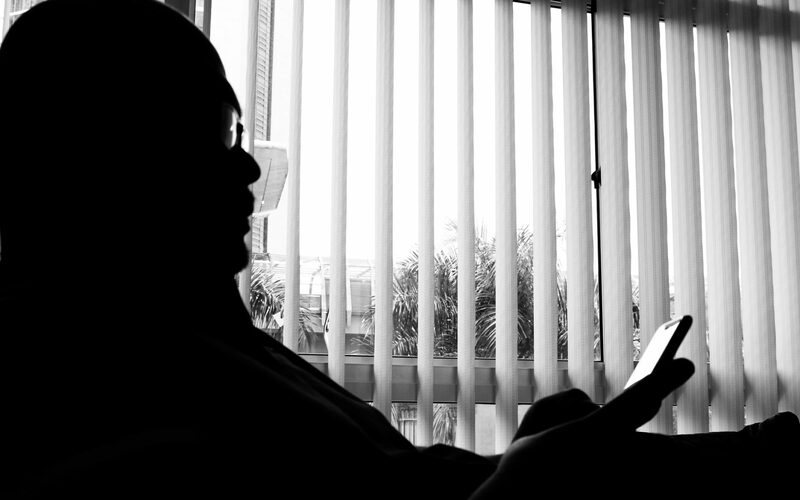 In 2012, Mansor was alleged to have called Lim Guan Eng “cocky”, “arrogant”, “dictator” and a “tokong” (deity). Tokong stuck on him well and until now he is being referred to as that by his detractors. With very little tolerance for dissent, Mansor was struck out and replaced by Dato’ Mohd Rashid bin Hasnon after the 2013 general elections. Since then, Guan Eng has fought tooth and nail with local NGOs such as the Consumers Association of Penang, Georgetown Heritage Action Group, Persatuan Kebajikan dan Penduduk Tamil, Penang Dravidar Kalagam, Malaysia Nambikei Yekkam, Penang Tamil Pathukappu Yekkam and Persatuan Penduduk Penduduk Baru Kawan. This is due to Guan Eng’s dictatorial behaviour in demolisihing, reclaiming, and developing Penang without giving any due consideration to heritage, environment nor religion. Not only that, Guan Eng also removed several PKR state assemblymen from Penang GLC positions after they dissentend on the issue of massive offshore reclamation works sanctioned by Guan Eng. And who is Lim Guan Eng to tell Penangites to love Penang when he himself does not trust the Penangites? When he could feel that he might be spending several years in jail for corruption, he asked DAP leaders and members to accept Selangor-born Chow Kon Yeow from Kuala Lumpur as the next Chief Minister of Penang when he is jailed. Aren’t there Penangites in his exco line-up? Dr Afif Bahardin is from Penang. I am sure many Penang DAP members remember Thum Weng Fatt. Before Lim Guan Eng could difference between Batu Maung and Batu Kawan, it was Thum Weng Fatt who represented DAP on every single issue in Penang. He would travel around in his yellow van providing services to the people. Many Penangites could still identify Thum and the yellow van. Yet when DAP took over the administration in 2008, Lim Guan Eng and his father made it as if they had done all the hard work. When Thum suffered from failure of both his kidneys, Penang DAP did not even help him financially. In the end, Thum sought the assistance of former Gerakan Batu Kawan MP, Datuk Huan Cheng Guan who provided the very ill Thum with RM3,000 monthly. When Thum passed away, his sister cursed Lim Guan Eng and DAP for not lifting a finger to assist her late brother whom had given his all for his love of DAP. Maybe it is because Thum was a Penangite. Which is why 55 percent of his excos are NOT from Penang. Which is why his two deputies are not from Penang. Which is also why his proposed successor is also NOT from Penang. I guess he doesn’t trust Penang people. I don’t think he loves Penang at all. Penang is probably a form of merchandise that he could use to enrich himself and only those loyal to him. And you Penangites still want him around? Previous PostPrevious Rindukan Zaman Mahathir?